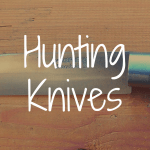 You are here: Home / Hunting Knife / What’s the Best Hunting Knife on the Market? What’s the Best Hunting Knife on the Market? There is an adage among some hunters that when you buy cheap, you buy twice. For those hunters that follow this mindset, it is better to find the perfect hunting knife before shelling out cash for a cheap mistake. This article addresses the factors that go into making a top of the line hunting knife and then recommends five of the best hunting knives on the market. The blade shape best suited for hunting knives is not the same as the blade shape best suited for tactical or utility knives. While the tanto blade is ideally suited for tactical application, a hunting knife works best with a sweeping blade curve that allows for a larger cutting surface area, particularly when removing the hide of a deer or other game. Additionally, the stabbing point of a tanto blade would be considered counter-productive in hunting, as a stabbing tip means a damaged hide. When it comes to blade length, the massive blades associated with survival knives are ill-equipped to handle the finesse cuts of field dressing game. A smaller, more dexterous knife is better suited to the work involved in caping a deer or preserving as much meat as possible on small game, such as rabbit. While there are a nearly infinite possible number of alloys available for knife making, the best blade materials for hunting are those that are able to maintain their edge without being so brittle that they chip on impact with bone or rock. Blades with a higher quantity of carbon present are not always well-suited for such a requirement. Because hunting is not as easy on gear as a day at the office, hunting knives need to be more durable than the average EDC (everyday carry) knife. Fixed blade knives work best for hunting, particularly when they have a full tang blade (the body of the blade extends all the way through the handle to the end, or, in some cases, beyond, so that the knife can be used to hammer in objects). Lastly, knives that have bone or wood handles do not work as well as knives with synthetic handles for hunting because of the nature of field dressing game. When wet or covered in blood from the butchering of a deer, a wood or bone handle will become slick and therefore dangerous. A synthetic handle works much better under such conditions. Here are our top five hunting knives. 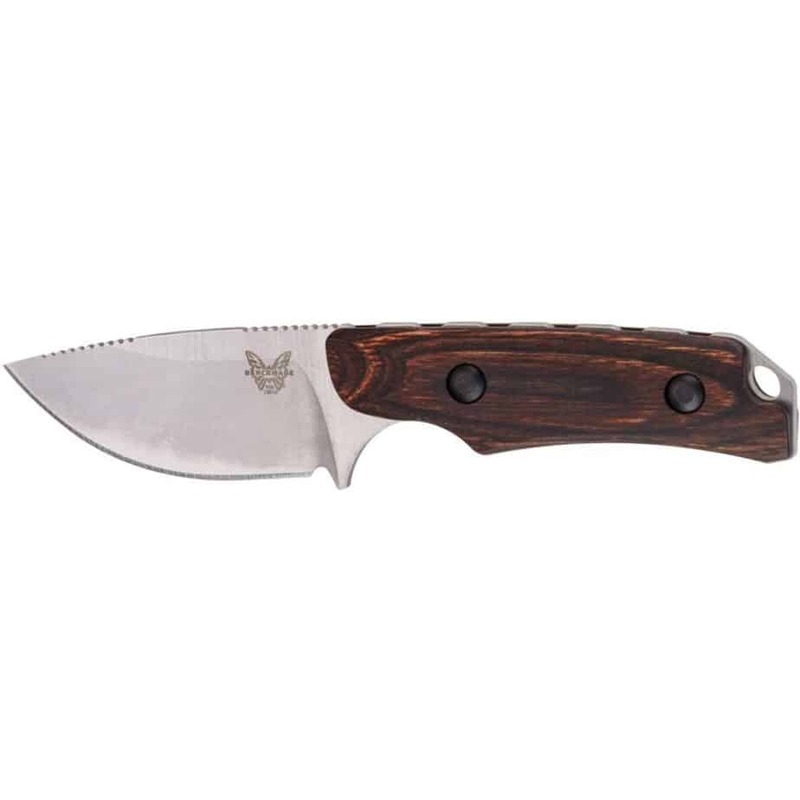 Description: The Benchmade Hidden Canyon is one of the best designed, no nonsense hunting knives on the market. With a short drop-point blade that has a rounded belly, the Hidden Canyon is designed to make quick work of field dressing deer or elk. 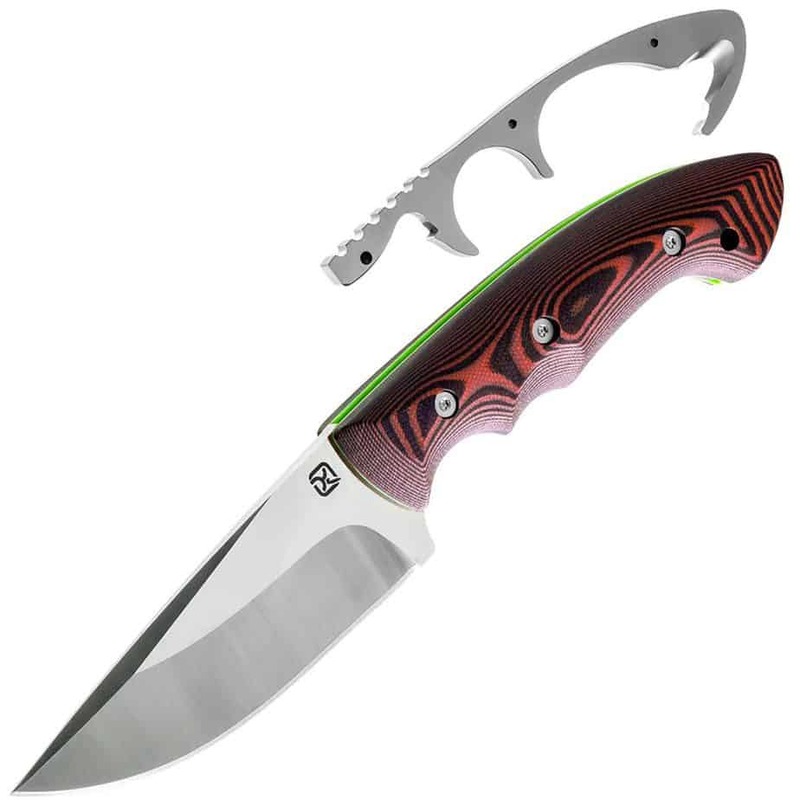 The blade of the Hidden Canyon is made of hard S30V stainless steel alloy. This is a blade that will hold a razor-sharp edge for an extended period of time. It features jimping on both the front and back of the blade, allowing hunters to choke up on the knife and apply pressure to the blade at its tip or base. The Hidden Canyon is a full tang knife that has a finger groove built into the choil, to protect against inadvertent injury. The handles are made of G–10 glass-reinforced nylon, making them easy to grip and durable, even when wet or covered in deer guts. 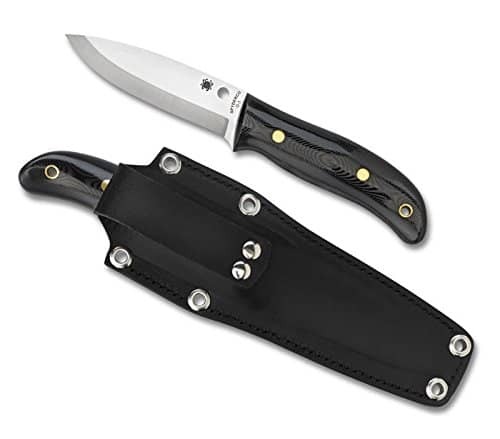 The Hidden Canyon comes with a durable Kydex sheath that seats the knife in a horizontal position on the belt-line. While some may not like this arrangement, there are replacement Kydex sheaths available. 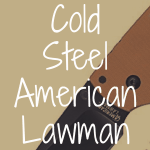 Description: The Cold Steel Master Hunter is a simple yet well-designed knife that is significantly more affordable than many of the knives on this list. Made with Japanese-style layered VG–1 steel, this is a hard, high-carbon blade that is still easy to sharpen. However, VG–1 is brittle, so care should be taken not to chip the blades of these Japanese steel knives. The Master Hunter has a drop point blade with a gut hook cut out on the top that makes it extremely versatile for field dressing deer or elk. The blade is 4.5 inches in length, which may not be well suited to detail work. The handle is made of rubber-like Kraton, which is extremely grippy, even when wet. The handle has a built-in finger guard/hilt that is excellent at protecting against injury. The Master Hunter comes with a Kydex and Velcro sheath, which allows for use without having to remove one’s belt. 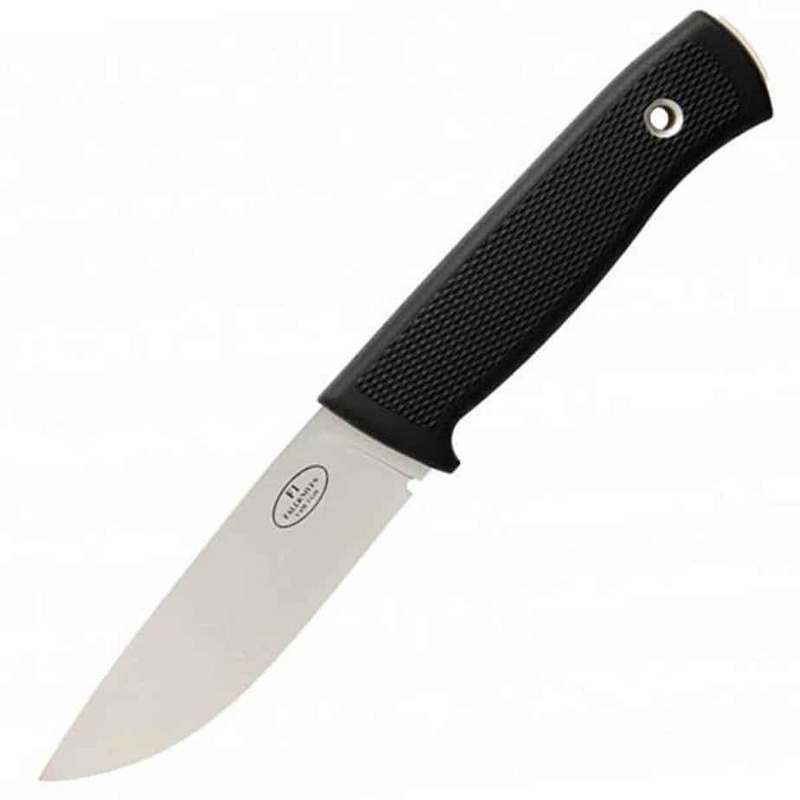 Description: Fallkniven is best known as a manufacturer of the beloved-but-costly A1 survival knife. The F1 may be thought of as the lightweight little brother to the A1 and was initially intended to be a pilot’s survival knife (it is issued in the Swedish Air Force). While it was originally intended for wilderness survival, it also works exceptionally well as an all-purpose hunting knife. The F1 has a blade made of high-quality VG–10 that is less subject to chipping than the previously mentioned VG–1 while still able to retain a razor-sharp edge. 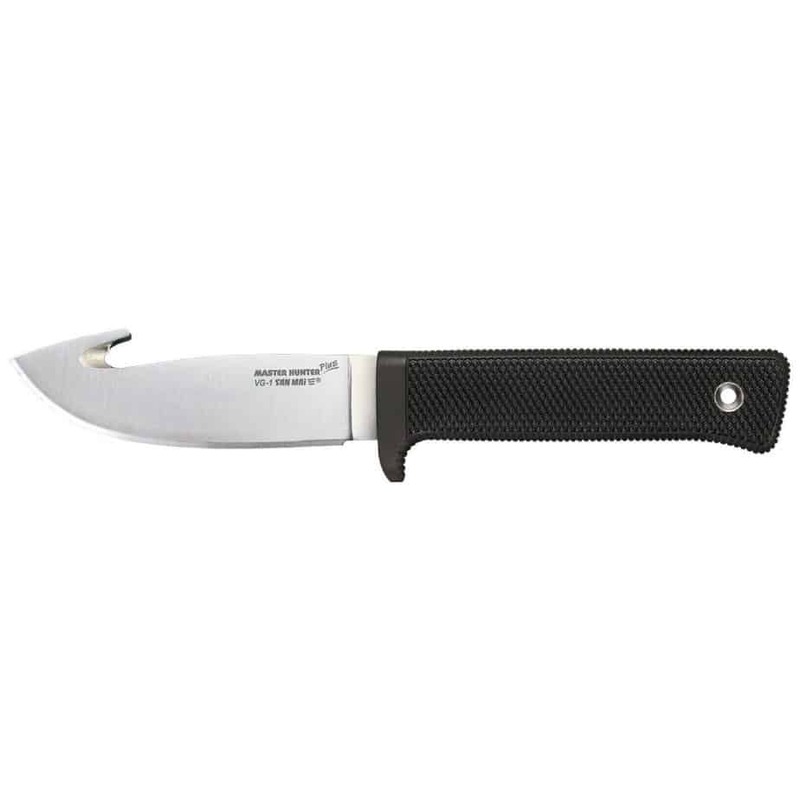 The F1’s blade is a full-tang drop point blade that is suitable for field dressing a deer and extremely sturdy. The tang of the knife extends beyond the handle, allowing it to be used as a pommel for hammering. Since this is a survival knife design, there is no option for a built-in gut hook, a relatively minor complaint. The handle is lightweight plastic intended to take a beating and has a diamond pattern for grip. Some may prefer the grippier Kraton handle of the Cold Steel for grip, but this is still a handle that will work well when covered in water or blood. The F1 comes with a Kydex sheath, a significant improvement over the low-quality plastic sheath it came with in the past. 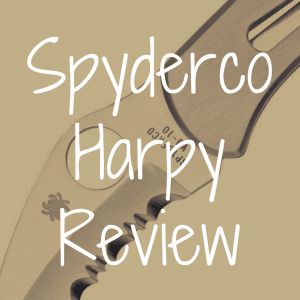 Description: The Spyderco Bushcraft G–10 came about when Spyderco attempted to release a bushcraft knife with a maple handle, and the maple promptly shrunk and broke off of the handle. Spyderco re-released its knife with ergonomic G–10 scales, held in place with solid brass rivets. The G–10 handle is (thankfully) more substantial than the intended maple handle and has excellent grip under wet or slick conditions. The blade on the Bushcraft is a 4.1-inch Scandinavian grind drop point blade. Because of its uncomplicated Scandinavian grind, the Bushcraft is easy to sharpen. As it is made of O–1 tool steel, once sharpened, the Bushcraft will hold its edge for a long period of time. The Bushcraft comes with a durable leather sheath that is surprisingly traditional for a manufacturer like Spyderco. If there are any complaints about the Bushcraft, they have to do with price and blade length. At over $200, this is a highly expensive knife. Concededly, that price tag comes with a very high-quality knife, but it is still eyebrow-raising. Also, the 4.1-inch blade may be too long for some when it comes to field dressing. This boils down to preferences, but it could be considered too big to manage finesse cuts. 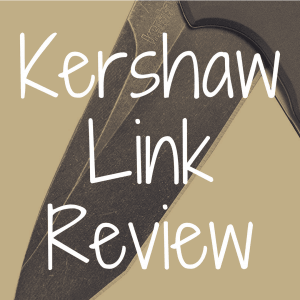 Description: The Klecker Abiqua Hunter came about as a collaboration between David Kurt, a maker of custom hunting knives, and US Marine Corps veteran Glenn Klecker. It has a 3.97-inch full tang blade with a cleverly-designed gut hook insert that pops out of the top of the knife. 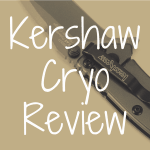 The knife has a clip point blade made of 7Cr17MoV stainless steel, a higher-end steel that is excellent for edge retention. The handle is ergonomic and slip-resistant G–10, a durable composite material. While often described as a bushcraft or survival knife, the Abiqua’s sweeping edge is excellent for skinning and quartering game, and its gut hook is an obvious asset on almost any hunt. Some may find the Abiqua’s nearly four inches of blade to be too large for finesse cuts, and it lacks jimping that would allow for better blade control, but its simple quality more than makes up for it. The Abiqua’s sheath is made of Kydex and will require a bracket, such as a Tek-Lok, or 550 cord to attach to your belt. While that could be considered an inconvenience, it is a minor one at best. What’s the Best Hunting Knife Steel? What’s the Best Hunting Knife to Buy? 13 Great Hunting Knives Under $100? What is the Best Hunting Knife Brand? What is the Best Hunting Axe On the Market? 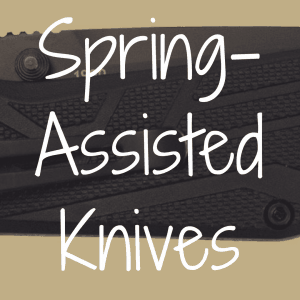 What’s the Best All-Around Hunting Knife?